Product #17025 | SKU BCL70 | 0.0 (no ratings yet) Thanks for your rating! 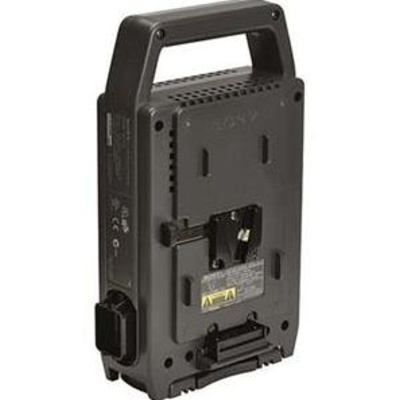 The Sony BC-L70 is a light weight and portable two-position battery charger for Sony V-mount batteries. This model charger is specifically designed for Lithium-Ion chemistry batteries such as the BP-L40. It will not charge Ni-MH batteries. In addition to charging V-mount batteries, the BC-L70 will also supply AC power to your gear via 4-pin XLR.